Give your team a quick way to see when you’re in a meeting, working remotely or out of the office. 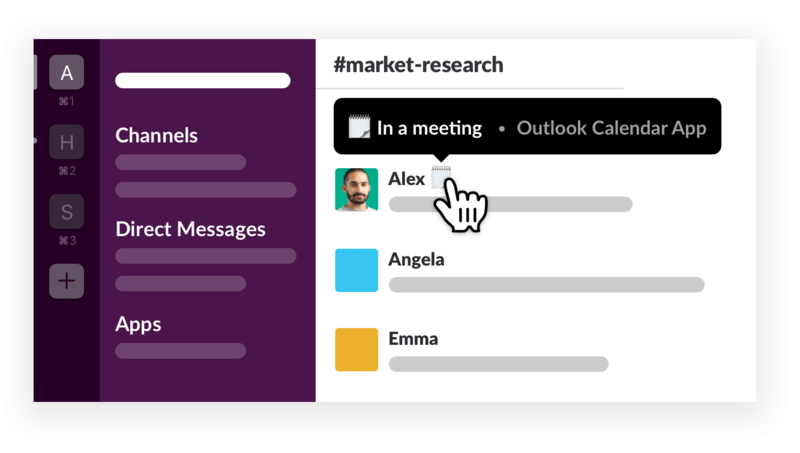 With the Outlook Calendar app for Slack, you can automatically update your Slack status based on your calendar events, making it easy to know whether you’re unavailable or slow to respond. Using a different calendar app? We’re working on bringing similar functionality to Google Calendar too. 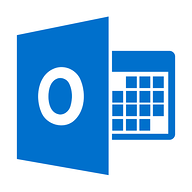 Install the Outlook Calendar app to your Slack workspace and connect your Outlook account. 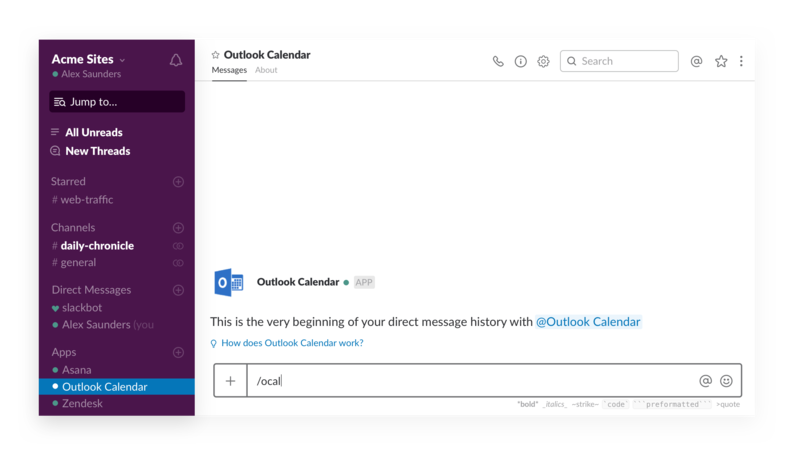 Open the Outlook Calendar app inside of Slack and send it any message to get started. Click the “Connect to the app” button, then follow the steps to link your Slack and Outlook accounts together. Once your account is connected, you’ll start receiving event reminders and notifications inside Slack. After linking your account, click the “Turn On” button to start syncing your Slack status with your Outlook calendar. At the start of your next calendar event, your status will automatically update. Depending on the type of event, it changes to one of three options: In a meeting, Working remotely, or Out of office.